This has become a bit of a tradition between Charlie and I over the past two years, and one I hope to continue! 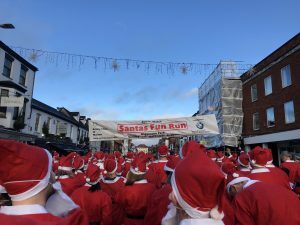 Last year we ran the Reading Santa fun run, so decided to branch out a bit and try the fast selling Marlow run, and we weren’t disappointed! 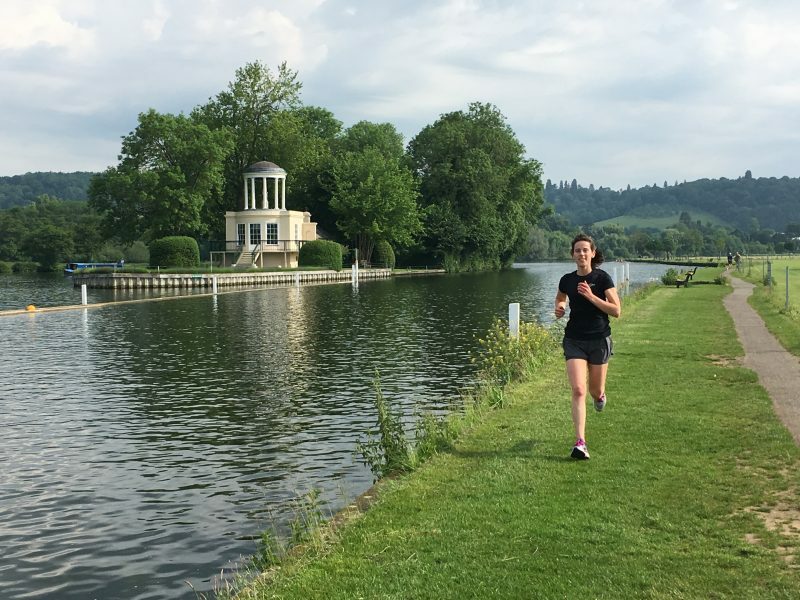 Charlie is currently training for the Phoenix Marathon in February, which she’s bossing, and decided to do most of her long run to Marlow, where I met her with our Santa costumes and race numbers. I decided to head to Marlow early, not only to find a parking space that I didn’t have to pay for, but to log a few extra miles myself. We met in the park and suited ourselves up before heading to the start line. The race started just outside the park, a countdown started, the horn sounded and we were off! Unknowing to myself, and my legs, I was about to run some very fast miles to keep up with Charlie! 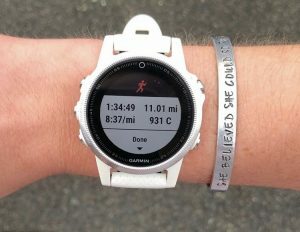 My legs felt like lead but I dug deep and I’m hugely proud of myself for pushing so hard. And to be honest, it felt good. My next goal is to work on my speed and get a little quicker, and why wait, I’m taking a few actions for that to start now!! 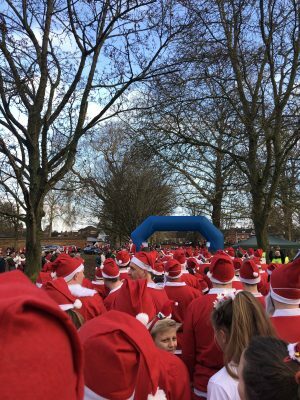 I liked the course, it took us up the main street in the town, then out towards and down roads off the main road, through a few housing/business estates and back onto the main street into the park. The marshalls were great, cheering us on, along with the crowds. Some people were playing Christmas music, everyone made an effort to dress up (including dogs and children), and all together, it was a much enjoyed event! We crossed the finish line and made our way to get our medals, banana and water. They’d made a conscious effort this year to ‘go green’, using paper cups for water and handing out bags to recycle our Santa outfits in. Before heading to brunch, we ended with a few easy/recovery miles around the town then back to the car. A total of 11 miles, I was happy with that! 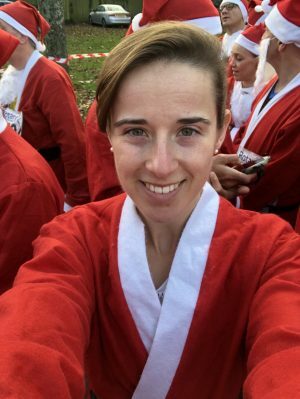 Did anyone else run a Santa fun run this year? If not, do you have one coming up? They are great fun and usually are raising money for a great cause, I’d highly recommend!